It’s giveaway time! I have teamed up with Bakeit FreeFrom for a baking kit giveaway! All you need to do is answer this simple question and leave your answer in a comment below! The question is: What would you be willing pay for 6 cupcakes? Make sure you keep an eye on your email inbox! I’ll be emailing the winner on Tuesday night to get your address so your prize can be posted to you on Wednesday!! A couple weeks ago the lovely team at Bakeit FreeFrom asked if I would be the subject for their cupcakes in the post trial. My first thought was just so long as the cupcakes are not free and gluten free, if they were, I was absolutely ok with being a test subject! Unfortunately the weather was against us! The vegan chocolate butter cream couldn’t stand the heat. The texture of the sponge was brilliant. It is so difficult to make gluten free, egg free and dairy free cakes that have a sponge exactly like ‘normal’ cakes as those of you will know who have my recipe book. However, these chocolate orange cupcakes I was sent were brilliant; the sponge was light, held together well and wasn’t stodgy. The taste of the sponge was also good. One thing I hate about some allergy free cupcakes is how sweet they and usually leave a clawing after taste, but these didn’t. I would prefer more orange flavour in the sponge personally, but if you are making at home, you can add as much or as little as you like. ALLERGY INFORMATION: the cupcakes are top 14 allergen free!! wahey! Remember to enter the flash giveaway by saying how much you would be willing to pay for 6 cupcakes in the comments below. Write your email in the box provided (it will stay hidden, only I can see it!!) and the winner will be emailed on Tuesday night! This giveaway was organised by Free From Comms Collective. Life Is More Than Food Allergies and Here’s Proof…! If you want something, you should make it the focus. Food allergies are just one of life’s challenges, but not everything in life is about allergies. To focus on allergens is to put allergies into the forefront of your life. If you don’t want allergies to be the focus or the goal of your life, then don’t make them the only thing you think about. Today I’m sharing the other part of my life with you. I wouldn’t be able to achieve it if I let every fear and worry about my allergies stop me from trying to achieve it. I am training as a Ballroom and Latin dancer (you know, like Strictly! ), specialising in Latin American. As of Easter weekend my partner and I are now the reigning European Pre-Amateur under 35 latin American champions! Winning U35 Pre-amateur Latin Trophy at the European Championships held at the Winter Gardens in Blackpool. If I worried about my allergies all the time I would have never of tried ballroom and latin because Think of all the cross-contamination risks!! People eating nuts and then holding my hand. Then the worrying about asking people to change their habits for me and what if they don’t? Of course I get concerned, but it’s simple to solve. Every dance partner I’ve ever had, in our first practice together (or before) I tell them I am severely allergic to all nuts and please would then not eat nuts when they are going to dance with me because I can’t dance with otherwise. I have never had a partner say they wouldn’t and if they did, I would certainly know they are not the right partner for me!! Allergies had nothing to do with my dancing, actually they didn’t impact it all because I made sure my allergy fears didn’t get the better of me. I took all the proper precautions (checking ingredients labels, my partner didn’t eat nuts etc), and I had a dream. Sometimes you just have to take a leap into the unknown and actively not let your allergy rule your life. Thanks for joining me for Allergy Awareness Week 2018. I hope you’ve enjoyed the the last 4 articles. I’ve covered topics close to my heart because life isn’t all about allergies, it’s just sometimes you have to do things differently. If you haven’t read the other articles make sure you check them out #1 – What allergies are not, #2 – Build confidence in your food allergy kids, #3 – backpacking with allergies and #4 – Open letter to allergy teens. So you’ve read my story and you’ve been following my posts over Allergy Awareness Week 2018. 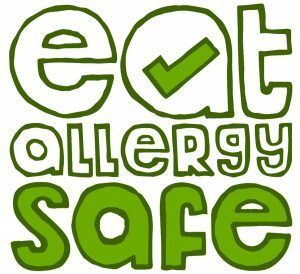 I know life is more than allergies and now I want to help you know that yours and your food allergy kid’s lives are too! For this reason I started Allergy Coaching. Allergy Coaching is about having someone in your corner to teach and coaching through allergy challenges to help build your confidence and so you can empower your food allergy kid. To find out more about Allergy Coaching and book your complimentary 15 minute consultation send me an email via the contact page today.